In my personal experience this is a big fat lie. After a few days everything was sent to a trader and 95% of bets were limited. I no longer even bother going there to see what odds they offer as I know they will not take my bet. 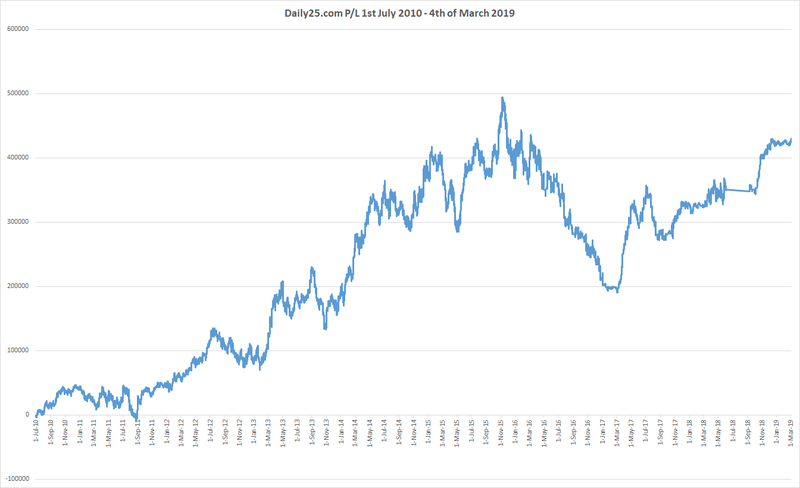 If you look to the right you will see a Palmerbet ad (I am an affiliate), and some of you have signed up with them, and while I can not play I am sure those betting smaller amounts and not worried about odds too much can get on fairly easy. I have no issue advertising them but I do have an issue with them making statements that in my experience are clearly false. My problem is unique in the fact that I need my bets accepted very quickly and this isn’t possible here. So here is my challenge to Palmerbet. I challenge you to accept me as a customer and take all my bets. I challenge you to not refer any of my bets to your “traders” and just take them on the spot. I will even allow you to limit me to win just $2,000 on bets. I believe it is a law for a NSW bookmaker to accept racing bets to win at least $5,000. Within an hour of posting I received a call from the owner of Palmerbet and let’s just say he was not happy with me “writing bulls&it on social media”. He was very passionate about his company and said I had never been rejected on my bets. I have thus edited the article to read that I was only limited (which in my book isn’t very different). I also asked him about a few other concerns such as taking the AFL lines off the website a few minutes before Sportpunter released his weekly picks and he said they have never done anything like that, when pressed he said someone must have bet huge and then the system would do that. Not sure why every single game would disappear though. My belief (and the sad thing is, I need to keep repeating that this is only my opinion and not fact), is that the Palmerbet system might in some way follow Topsport who also take the games off a few seconds before release. It is evident to many of us that Topsport have purchased a subscription to the AFL model and do not want anyone placing their bets with them. In regards to the challenge, he said if I called and asked for a bet then he would probably accept it, but once again my bets are very time sensitive so this would not work. I will try and place some bets there over the coming weeks to see if some of my other bets will be matched. As usual you have to take my rants as they are. All of this is simply my opinion based on my own experiences and the experiences of others that have been shared with me by like minded gamblers. I’m always up for people to reply and state their view and offer that to Palmerbet too. If they would like to reply to this post I will happily post it with no edits. Just an extra note on the size of Palmerbet which the article quotes as looking to turnover $100,000,000 this year. While that number seems big that is only 0.38% of the entire Australian turnover. They have 1,600 twitter followers and lets say they have around the same amount of customers. That means on average each of them turnover $62,500 a year or $1,200 a week. Off course they would have some really big bettors and much smaller bettors but this seems about right. I would say a 5% ROI is a fair amount of profit which is $5 million a year and from the article we see they spend $120k a year on facebook advertising, probably the same on google and other social media, add in employee pay and software license (website and app), player bonuses, affiliate payments, taxation and I would then guess the company is only making $1 to $2 million profit in it’s first year. Most of the big guys actually lose a massive amount in their first year so if this is right, it is quite impressive. Again, only my opinion on the numbers, I could be way off by $20 million in either direction. We also have to understand that most of this turnover is probably on the horses and therefore they would not have a large book on many sporting events (which is what I mostly bet on), this results in them not being able to accept massive bets. I hope to keep talking to Palmerbet and really hope they are trying to differentiate themselves by allowing winners, but there is a reason why most bookies don’t allow winners. It will be interesting to watch if this angel will generate customers. You know how cynical I am about bookmakers and I believe they will find it difficult to grow in such a crowded market and eventually they will sell to one of the big UK companies, but Mr Palmer did state “We’re here for the long run,”. Let’s see how this turns out. Probably accept it?? wtf. surely when they publish their odds then they should be prepared to lay bets at them odds regardless of who you are. why should you have to wait to bet at a certain price. It’s quite simple for bookies – they have 3 options: a) close your account b) restrict your account or c) let you bet with them. So I’m interested to know what he means by ‘probably’? lol these bookies really make it hard for themselves. It’s a simple business model that requires just two basic principles – risk management and marketing. btw Steve..do many of the books take down their AFL lines before sportspunter releases. Is it just palmer? who else does it? Topsport does and a few smaller Australian books. Pinnacle also takes it down after 1 bet is placed. When bookies are running scared of a tipster you know your onto a good thing. In regards to Palmerbet, i feel the same as you. They either take a bet or they don’t. I really like the Pinnacle way, they have the max bet they will take next to the odds. Very simple. Has there been some news in the last few days about Pinnacle opening up an Australian business with bigger limits? Yep, I’ll post more details as I get them. So how do YOU get your bets on for Sportpunter tips ? By doing a lot of prep work 30 minutes before they are released and placing my bets across about 10 different books. It’s a real pain but for the profit it’s worth the effort. There are certain bookmakers who still take a bet, but you can figure that out for yourself. Steve, have you had any more bets with palmerbet? are they rejecting all your bets? I haven’t bothered as they are still taking the lines off for AFL and their odds for everything else are worse then most places. Hi Colby and welcome to the site, I am assuming this is the very first article you have read here as you seem to have no idea at all about how I bet. Firstly I have only started betting on horses recently, this article was written before I bet on a single horse race. 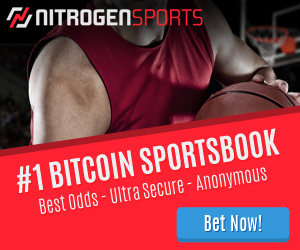 This site is tracking my success in sports betting. If you had taken the time to even look at the about section you would have seen that I follow tipsters, I have never arbed and see no point in it. Your claims that any aussie bookie will take bets between 20-50k is laughable. If they are taking your bets for that amount there is one very good reason for that, it’s because you are a losing punter. I bet on average at least 10-20 hours before an event, I do off course look for the best possible odds (if I didn’t I would be an idiot). The fact you have to say “I do not represent any corporate bookmaker” leads me to believe you do, but once I read your comments I do believe you, as anyone working for the corporates (and I talk to many who do), knows how ridiculous your claim is. Where are you mr Bartholomew, cant see any big bets lately, ?? ?